Sarah Hartley joined the Business school in 2016 as Senior Lecturer in Management. Sarah is an interdisciplinary social scientist working closely with natural scientists, engineers, regulators and policy-makers. Her research and teaching revolves around the responsible governance of science, technology and innovation as it moves from the lab to commercialisation. She takes a qualitative methodological approach to understand the factors that shape the innovation process for emerging technologies, particularly the biotechnologies including GM insects, gene drive, and genome-editing. In addition, Sarah explores responsible research and innovation at a policy and institutional level. Sarah has advised the House of Lords Select Committee on Science and Technology on GM insects and the Nuffield Council on Bioethics on genome-editing. She is currently collaborating with the Biotechnology and Biological Sciences Research Council to improve stakeholder engagement. Sarah researches the responsible governance oftechnological solutions to global challenges. She explores efforts to open up governance through case studies involving global health, sustainable agriculture and food security, critically examine ways in which the trajectory of technology and innovation can be shaped by a broad range of actors, exploring the factors that facilitate or restrict these efforts in Europe, North America, Africa and South America. 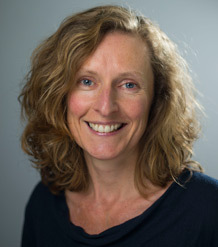 Her current projects examine the regulation and governance of 1] GM insects in the UK, US, Brazil and Africa in agriculture (as pest control tools) and human health (particularly in fighting dengue, malaria and zika); 2] plant genome-editing to address global challenges; 3] gene drive; and 4] human germline genome-editing. Sarah is also involved with projects developing tools and mechanisms for knowledge engagement in innovation development and governance more broadly. Sarah is Principle Investigator on a project funded by the British Academy entitled Co-producing Knowledge Co-production across disciplines and borders: The case of gene drive mosquitoes in the UK and Mali. Knowledge co-production (KC) has become a popular buzzword in the challenge-led agendas of research funders in the Global North, yet it is not well defined when knowledge is co-produced across disciplines and across borders that stretch from the Global North to the Global South. This project will co-produce an empirically grounded, international and transdisciplinary KC framework. Taking an interpretive approach, we explore the meaning of KC in the case of gene drive mosquito technology for malaria control developed in the UK and Mali, where the scientific community is committed to KC yet has not defined it in practice. We use qualitative methods, including documentary analysis, interviews, lab ethnographies and workshops to enable Malian actors to shape the very meaning of KC in advance of its implementation and to build new insights and methods for application in other cases of high technology developed with and for the Global South. Nerlich B, Hartley S, Raman S, Smith A (eds)(2018). Science and the Politics of Openness Here be Monsters. Brunk, C.G. Hartley S (eds)(2012). Designer Animals Mapping the Issues in Animal Biotechnology., University of Toronto Press. de Graeff N, Jongsma KR, Johnston J, Hartley S, Bredenoord AL (In Press). The ethics of genome editing in non-human animals: a systematic review of reasons reported in the academic literature. Philosophical Transactions B: Biological Sciences Full text. Ribeiro B, Hartley S, Nerlich B, Jaspal R (2018). Media coverage of the Zika crisis in Brazil: the construction of a ‘war’ frame that masked social and gender inequalities. Social Science & Medicine, 200, 137-144. Full text. DOI. Pearce W, Hartley S, Helliwell R, O'Neill L (2018). Reply to Tagliabue. EMBO reports, 19(4), e45954-e45954. Full text. DOI. Wickson F, Preston C, Binimelis R, Herrero A, Hartley S, Wynberg R, Wynne B (2017). Addressing Socio-Economic and Ethical Considerations in Biotechnology Governance: the Potential of a New Politics of Care. Food Ethics, 1(2), 193-199. Full text. DOI. Hartley S, Pearce W, Taylor A (2017). Against the tide of depoliticisation: the politics of research governance. Policy & Politics, 45(3), 361-377. Full text. DOI. Hyde R, Hartley S, Millar K (2017). European novel foods policy at a critical juncture: Drawing lessons for future Novel Food Regulation through a retrospective examination of Regulation EC 258/97. Food and Drug Law Journal, 72 (3), 472-505. Full text. McLeod C, Hartley S (2017). Responsibility and Laboratory Animal Research Governance. Science, Technology, and Human Values Full text. de Campos A, Hartley S, de Koning C, Lezaun J, Velho L (2017). Responsible innovation and political accountability: genetically modified mosquitoes in Brazil. Journal of Responsible Innovation, 4 (1), 5-23. Full text. DOI. Helliwell R, Hartley S, Pearce W, O'Neill L (2017). Why are NGOs sceptical of genome editing?. EMBO reports, 18(12), 2090-2093. Full text. DOI. Hartley S, Gillund F, van Hove L, Wickson F (2016). Essential Features of Responsible Governance of Agricultural Biotechnology. PLOS Biology, 14(5), e1002453-e1002453. Full text. DOI. Pearce W, Hartley S, Nerlich B (2016). Transparency: issues are not that simple. Nature, 531(7592), 35-35. Full text. DOI. Macnaghten P, Owen R, Stilgoe J, Wynne B, Azevedo A, Campo ALSD, Chilvers J, Dagnino R, Giulio GD, Frow E, et al (2015). Inovação responsável através de fronteiras: tensões, paradoxos e possibilidades. Teoria e Pesquisa, 24(2), 18-24. DOI. Hartley S (2015). Policy masquerading as science: an examination of non-state actor involvement in European risk assessment policy for genetically modified animals. Journal of European Public Policy, 23(2), 276-295. Full text. DOI. Macnaghten PM, Owen RJ, Stilgoe J, Wynne B (2014). Responsible innovation across borders: tensions, paradoxes and possibilities. Journal of Responsible Innovation, 1(2), 191-199. DOI. Hartley S, Millar KM (2014). The Challenges of Consulting the Public on Science Policy: Examining the Development of European Risk Assessment Policy for Genetically Modified Animals. Review of Policy Research, 31(6), 481-502. Full text. DOI. Hartley S, skogstad G (2005). Regulating genetically modified crops and foods in Canada and the United Kingdom: Democratizing risk regulation. Canadian Public Administration/Administration publique du Canada, 48(3), 305-327. DOI. Hartley S (2016). The treatment of social and ethical concerns in policy responses to agricultural biotechnology: an historical analysis. In (Ed) The intellectual property–regulatory complex: Overcoming barriers to innovation in agricultural genomics. Brunk CG, Hartley S, Rodgers LC (2012). Focusing on the values in debates about animal biotechnology. In (Ed) Designer animals: Mapping the issues in animal biotechnology. Brunk C, Hartley S (2012). Issues of governance in animal biotechnology. In (Ed) Designer animals: Mapping the issues in animal biotechnology. Skogstad G, Hartley S (2007). Science and policy-making: the legitimation conundrum. In (Ed) Public science in liberal democracy: the challenge to science and democracy.